If Superstorm Sandy has taught us one thing, it’s that the people in the Two River community of Monmouth County help each other out in times of need. 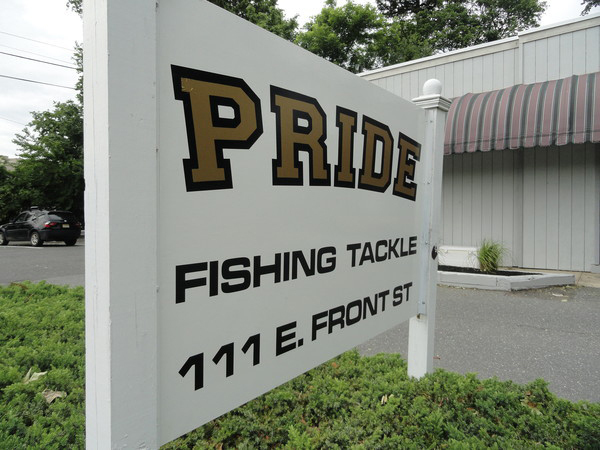 That’s just what Max Berry, owner of Pride Fishing Tackle, did during the busy holiday season when he put together a weekend of fundraising for Sandy relief at his shop in Red Bank. In addition to securing boat captains as guests to answer any fishing questions for customers, Max organized an impressive raffle with something for everyone. From charter fishing trips to spa gift certificates, these items were generously donated from our local fishing community, tackle and clothing manufacturers, charter boat captains, rod builders, marine boating stores and other area small businesses. Along with the raffle proceeds, Max also donated 15% of all his weekend sales to be divided between Life Guard Ecumenical Foundation and Save the Jersey Shore. It was a successful weekend all around. Congressman Frank Pallone, Jr. even stopped in and then tweeted about the event! We couldn’t agree more. Thanks to Max, we made a big difference in some local families' lives this holiday season that were affected by Sandy.